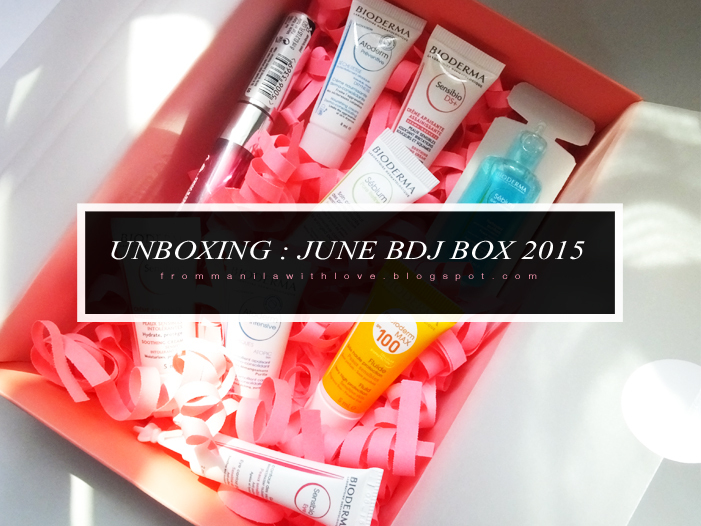 This June, BDJBox decided to partner up with Bioderma for an exclusive release this month. I literally received it today and wanted to post the unboxing as soon as possible because I was feeling a little meh about this. Sebium Moussant (5ml / 200ml - Php 1,238) - Face and Body cleanser. Soap-free and non-comodegenic cleanser with Fluidactiv sebum-correcting complex. Sensibo Eye Contour Gel (2ml / 15ml - Php1,248) - Lightweight eye gel that reduces puffiness and makes eye area resistant to attacks thanks to the Toleridine complex. Sensibo DS+ (5ml / 40ml - Php 1,628) - Calming moisturizer designed for people with sebhorrhoeic dermatitis. Sensibo Light (5ml / 40ml - Php 1,548) - Formulated with Toleridine complex the ideal treatment for sensitive skin. Atoderm Intensive (8ml / 200ml - Php 1,418) - With Zinc and Betasitosterol to provide intense anti-inflammatory care and helps to stop the itch. Atoderm Preventive (8ml / 200ml - Php 1,998) - Created with infants and children in mind. This strengthens dry skin of young ones and keeps them from aggravating the dryness. Photoderm Max (5ml / 40ml - Php 1,348) - Has UVA and UVB maximum protection (100) and Cellular BIOprotection complex to effectively shield against cell damage from the sun's rays. Sebium Pore Refiner (5ml / 30ml - Php 1468) - The astringent and pore minimizing properties of Fomes Officinalis helps to tighten pores, imperfections and mattifies immediately and over the long term. The Body Shop Lip and Cheek Stain (Full size 8ml - Php 795) - With Vitamin E in Shade 01. Okay first things first. This is my first time to receive almost all sample sizes in a BDJbox. It's new but I don't necessarily dislike it. I wasn't really that impressed. For a Php580 box this wasn't what I had in mind mainly because of the stellar previous boxes. In terms of skin care, I see the efficacy of a new regimen within 2 weeks. That's also about the time my skin will adjust to the new skincare I'm using. For 5ml of product it's hard to see if it will tide me over for a week to be honest. My mom hasn't received her first ever BDJbox yet and I know she won't have the best-est reaction for a first-timer. Hell hath no fury like a woman duped. Okay so looking at the prices, the tint basically paid for the entire box. But how would you feel to get almost everything in trial size? This is skincare, for makeup I'll take it like last year's Benefit Box exclusive, but for skincare I just don't think the sizes permit a generally pleasant reaction to people getting this box especially first timers. PS. 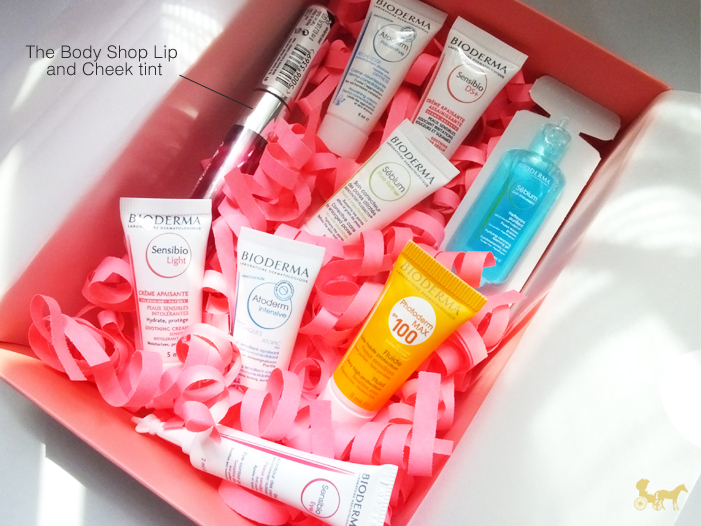 I'm not sure what the exact value of the box is because usually I don't add in the value of the sample sizes but BDJ has stated it's still triple the subscription amount as it's always been. 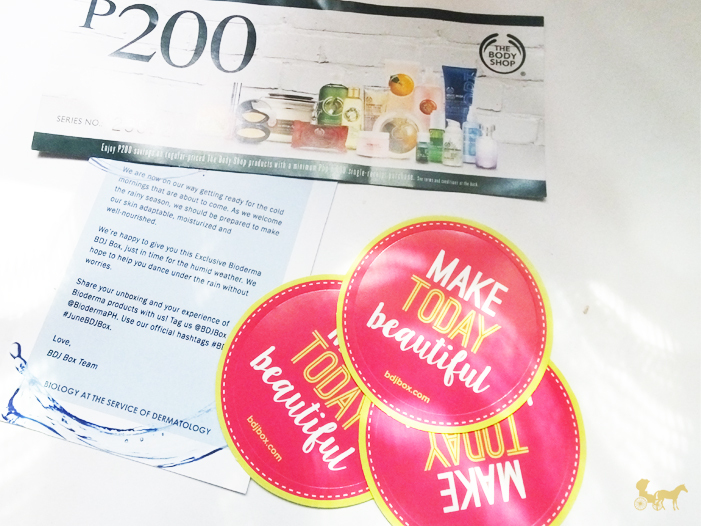 :) Love this month's sticker. Never stop making them BDJ! PPS. The BDJ team is currently getting cooked by some of their customers for this month's box. Just look at their Facebook page. Yikes. Disclaimer : BDJ kindly sent this box to me as a gift. I was not asked nor compensated (monetary or otherwise) to post this in any of my social media or to make a blog post about it. All my opinions about the box - its contents and companies mentioned are my own unless someone steals my account, pretends to be me and continues the blog in my stead. For once, I'm not leading the haterade parade. I really liked this box! Does that mean I'm out of touch? IDK. I've just never been for the "sulit" oversize boxes. It's all about the adventure for me.